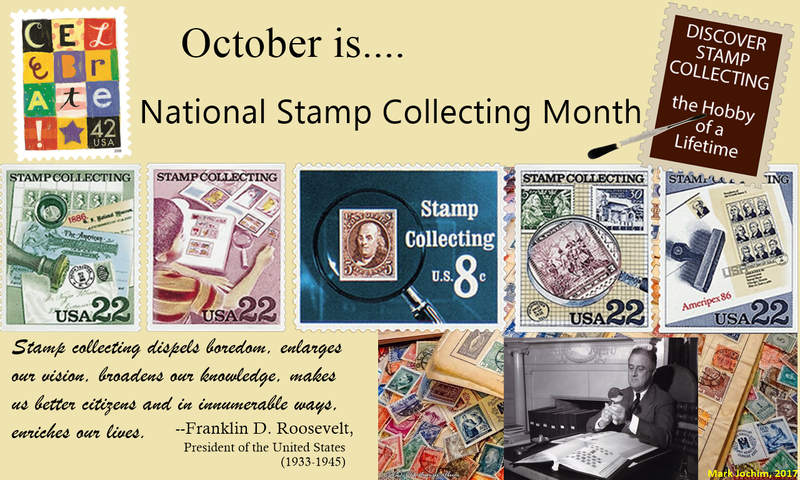 Since 1981, the month of October has been celebrated as National Stamp Collecting Month in the United States and Canada. November is National Stamp Collecting Month in the Philippines. I began collecting stamps around the age of nine years old; counting a few breaks for other pursuits (girls, music, travel to name but three), I estimate that I have been involved in the hobby for a little more than 30 years. I promote it whenever and wherever I can these days, having begun collecting again following my move to Thailand more than a decade ago. At the beginning of July 2016, I started a blog called A Stamp A Day on which I feature a different stamp (usually from a different place) each and every day. Different countries and territories have been included in a more or less alphabetical order and historic anniversaries and birthdays have been marked on occasion with an appropriate stamp. The write-ups (background histories on the issuing entities and details about the stamps) are often quite lengthy! “ASAD” is my second stamp blog; Philatelic Pursuits is still active with a post or two each month. I also have a blog dedicated to postcards that I receive through Postcrossing, trades, or traveling friends and family members. I feel that the hobbies of philately (stamps) and deltiology (postcards) compliment each other. I recently changed the name (for the third time) and it is now called Postcards to Phuket. 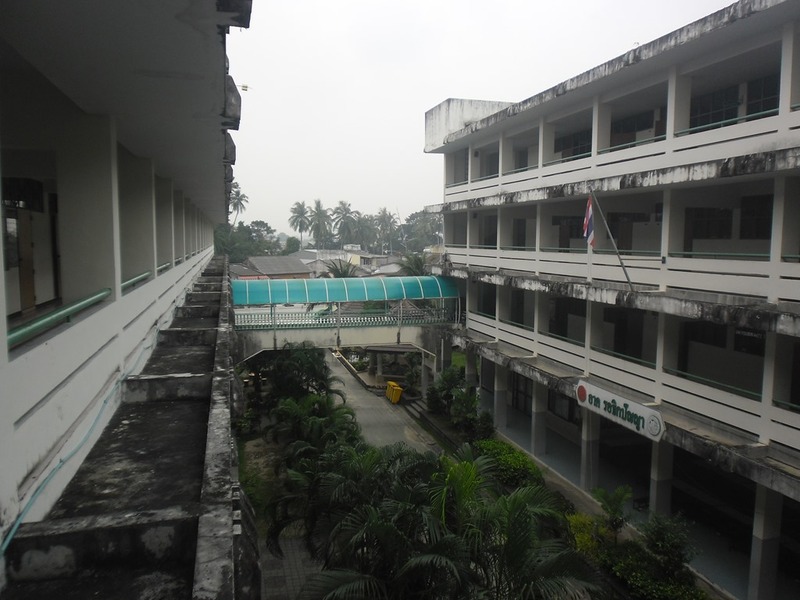 I live in Phuket, an island province in the south of Thailand. It wasn’t long after I’d arrived that I discovered the Phuket Philatelic Museum in the administrative capital of Phuket Town. My first visit was in the midst of celebrations marking the 60th anniversary of the reign of His Majesty the late King Bhumibol Adulyadej. I’d already been struck at how Thai people worshiped the king as a deity and had been swept up in royal fever. Seeing the beautiful stamps issued in his honor spurred me to return to the hobby. While never much of a museum (a few dusty displays of telegraph equipment and several frames of stamp “reproductions” at the present), the Phuket Philatelic Museum contained a large shop which was filled with Thai stamps dating back to the early 1970s (all sold for face value), first day covers for the previous year’s releases, albums and supplies in a dedicated room. About three years ago, the shop was moved to a counter in the museum lobby to make room for Thailand’s first drive-thru post office. Many of the supplies such as albums and ornate stamp pages plus older stamps were gone but at least I could still purchase the new-release stamps and first day covers (going back a year or so) as well as the annual yearbooks. The main clerk spoke good English and was extremely helpful. She was reassigned about a year ago, replaced by a woman who speaks very little English but is quite cheerful and always let me go through the stock books. I recently visited the Phuket Philatelic Museum for the first time in quite a while and was told that they weren’t selling stamps anymore. There were a few first day covers remaining (most of which I already had). The clerk told me she didn’t know if they would receive any stamps in the future. She seemed quite upset about it. I’m actually worried that the museum itself might close down as I believe the sales counter was the only income source. There’s a meeting room that I believe used to be used by a local stamp club but I could never get any information about meetings, etc. I’ve had ideas in the past to organize a Postcrossing meeting there amongst members who live on the island or to form my own stamp club, but I just haven’t had the time. I am now unable to purchase any Thai stamps locally; one visit to a nearby post office left me wondering if the two clerks on duty even knew what a stamp was!) I will have to rely on mail order until I find someplace else. 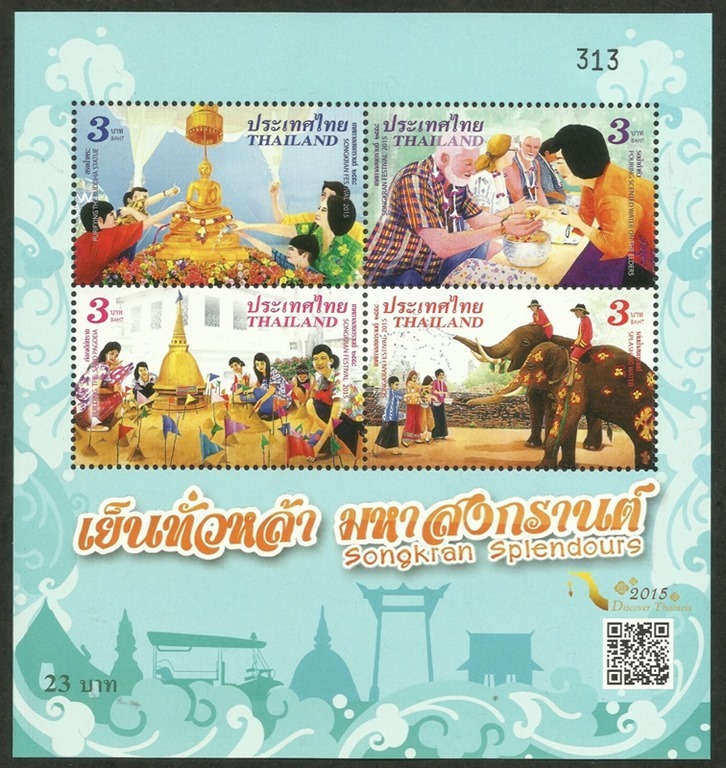 It’s a shame as there have been some very interesting stamps issued by Thailand recently. I am looking forward to finding out what Thailand Post has planned to mark the one-year anniversary of King Bhumibol’s death; there’s already been an extensive series of banknotes and coins announced by the Royal Thai Mint. The whole of October leading up to His Majesty’s cremation at the end of the month will be a period of intensified mourning in Thailand. The initial period lasted from his death on October 13, 2016, to the beginning of December (his birthday) when his son formally accepted the succession and became King Rama X. While a number of people have remained wearing black for the entire year (including all teachers such as myself), it will once again be expected in public starting (I believe) today. Since midnight last night, all Thai television stations are broadcasting in black and white only; most of my Thai friends have changed their Facebook profile and cover photos to greyscale today. The public are requested not to engage in any festivities during the month of October and many entertainment and sporting events will be canceled. There will be many other signs of mourning and I will put together another article in the near future detailing some of those. I plan to do my part by combining my celebration of National Stamp Collecting Month with a memorial to the late king. I’ve decided to feature only Thai stamps on A Stamp A Day during the month of October, mainly those portraying King Bhumibol. I plan to keep the commentary to a minimum so that I’ll have the time (and energy!) to write a few how-to-collect articles for Philatelic Pursuits and add a few things to Postcards to Phuket as well. August saw my return to high school and I’m still trying to adjust. My leisure time went from “perfect” to “will I ever have free-time again”? September will be even busier but I should be able to take a lengthy holiday starting the second week of October. At least the weather has largely cooperated; the mornings and evenings have been relatively cool with only the rare thunderstorm. Another month gone and this one went by very quickly indeed! 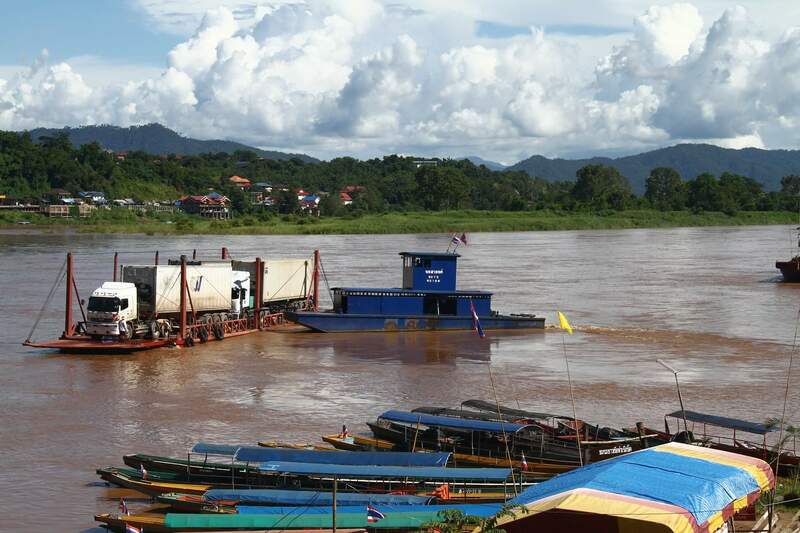 I was on holiday for much of April due to the Thai New Year (Songkran) occurring mid-month and my language school students canceled most of their lessons in order to enjoy the nationwide bout of laziness. Even my local postman took a couple of weeks of vacation during which we had no home mail delivery as Thailand Post has severe manpower shortages; upon his return, I received a HUGE stack of mail with plenty of new stamps to add to my collection.